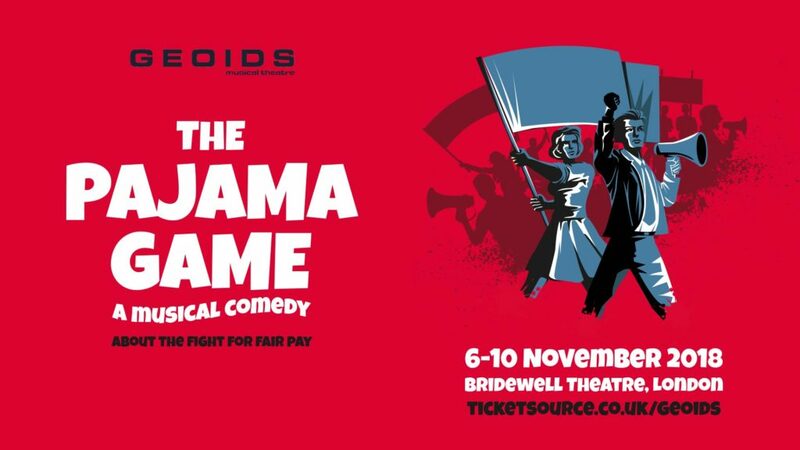 Geoids Musical Theatre is delighted to present The Pajama Game, an all-American musical comedy featuring songs such as Fosse classic "Steam Heat" and infectiously happy "Once a Year Day". A hidden gem in the canon of classic musical theatre, the show was awarded the 1955 Tony for Best Musical and then claimed the award for Best Revival of a Musical when it was brought back to the stage over half a century later. Today it is more relevant than ever, with a socially conscious message about workers’ rights at its heart. The story revolves around Sleep-Tite, a small-town Pajama Factory in the 1950s, where sparks fly between new factory superintendent, Sid Sorokin, and well-loved employee Babe Williams. When the workers strike for a pay increase, it sets off a conflict between the big boss and the factory floor who are willing to do what it takes to win the right to fair pay. In the midst of the strike, romance blossoms between two headstrong characters on opposite sides of the tensions. What follows is a rollercoaster ride of exuberant music, dance and drama! Geoids is excited to return this vibrant musical to the stage and uplift you with an exciting story of love, laughter and playing fair.